December 24, 2013 Two Chico women have teamed up this Christmas to make sure pets belonging to the homeless are taken care of. Click here to read the article and watch the full video! 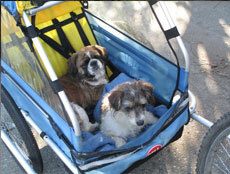 October 02, 2013 Butte County Chico homeless pet project hopes to fill a void. Click here to read the article and watch the full video!